The year was 2005, and the scene was a meeting of the Newspaper Next Industry Task Force — some of the best and most innovative minds in the newspaper business. He rammed home the point: Newspaper circulation had been falling steadily for decades, and yet newspaper companies had left the same kinds of people in charge of content, doing the same old stuff. When were we going to get serious about changing the content to produce better results? Amen, Lincoln. I’ve never forgotten your point. It’s as deadly accurate today as it was 12 years ago — and the results keep getting worse. In this blog, for five years, I’ve written repeatedly about why and how our our content needs to change. We keep acting out that old cliche about insanity — doing the same thing over and over again, expecting different results. This time, instead of trying to come up with yet another way to say it, I will point back to 13 of my previous posts. Or should I say, 13 previous attempts to open this industry’s eyes to the desperate need for change in content. 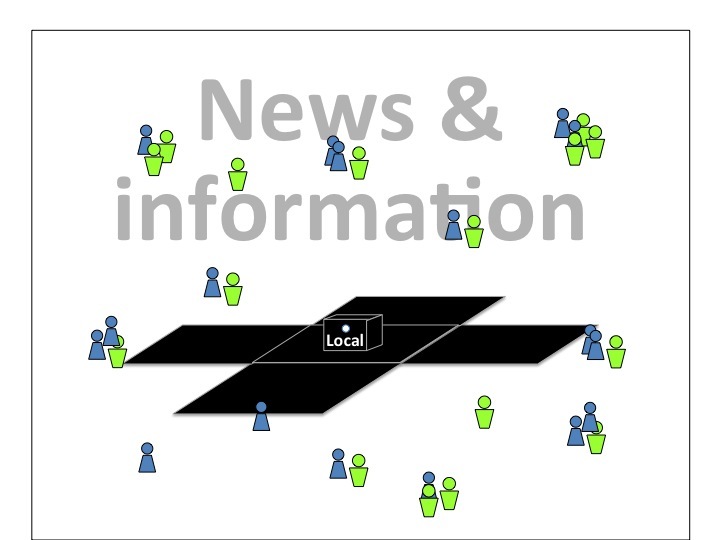 “And that points me back to the core purpose of local reporting. It’s not “doing journalism.” It’s providing information every day that meets genuinely felt needs among the people who live in our communities. The tiny share of web traffic we’re getting with news, what Millennials consider to be news, and a metrics approach that can lead us to more successful content. How the explosion in available content has reduced the demand for news. With a parable from a friend’s experience in the jungles of Borneo: If you grew up with an infinite supply of every kind of food, how much rice would you eat? Millennials grew up with access to every kind of information; no wonder they don’t consume a lot of news. And what we should do about it. “The stats (presented here) show that we’re losing the audience game in a big way. So we need to do some hard thinking about which audiences in local markets have the most value and therefore are most worth pursuing. How an old Saturday Night Live sketch about the Scotch Tape store at the old mall parodies our business’s relentless concentration on news. And not just print, of course. We’re a local information franchise, print and digital. To get back to success, we need to start over by understanding the appetites that are driving our desired audiences today. A visual rendering of the change in our world that’s destroying our old, keyhole-based business model. We’ve lost the keyhole effect. Now how do we attract an audience? A list of seven specific kinds of content that would draw like crazy. Now that we’re in competition with all the information available on the planet, we have to win our audiences every day by the value of what we offer them. So the job of the publisher, the editor and the VP of content/audience (if there is one) needs to be: Produce content throughout the day — every day — that no one can live without. A deeper description of the seven kinds of content that would draw audience like crazy in any local market. My first explanation of the paradigm-shattering concept of “The Infinite Pipe.” This is one of three foundational posts from which virtually every other post in my five years of blogging is derived. “The Infinite Pipe” — the history of human access to information over 200,000 years — reveals what’s happening to the entire mass-media business today, and why. 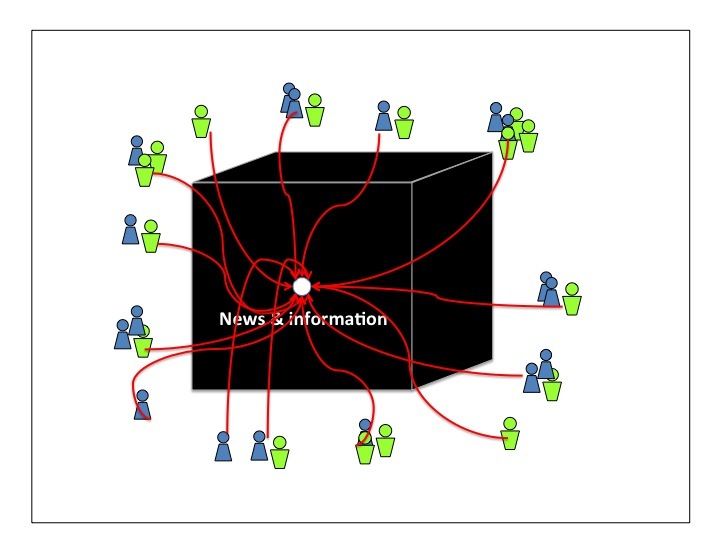 What happens when information goes from limited to infinite? 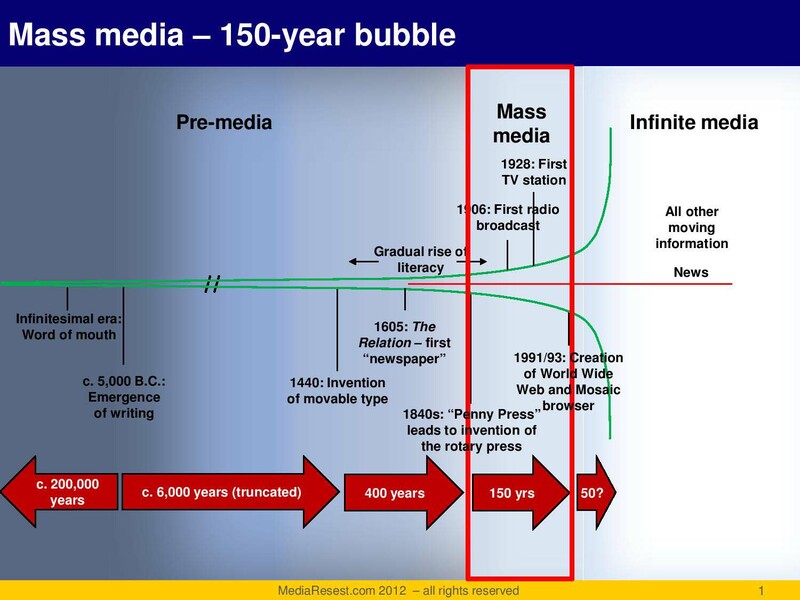 Five basic changes that are swamping the mass media businesses in a tsunami far larger than we can imagine. Part III — What about news? Folks, the game isn’t over. But we will continue to lose if we don’t wake up to the fact that we are responsible for producing content that works in today’s information systems, for people who are living today’s lives. Posted on October 23, 2017, in Advertising, Audience, circulation, Content, Disruption, innovation, Journalism, leadership, management, Media business model, media management, News, Newsrooms, The basics. Bookmark the permalink. 1 Comment.